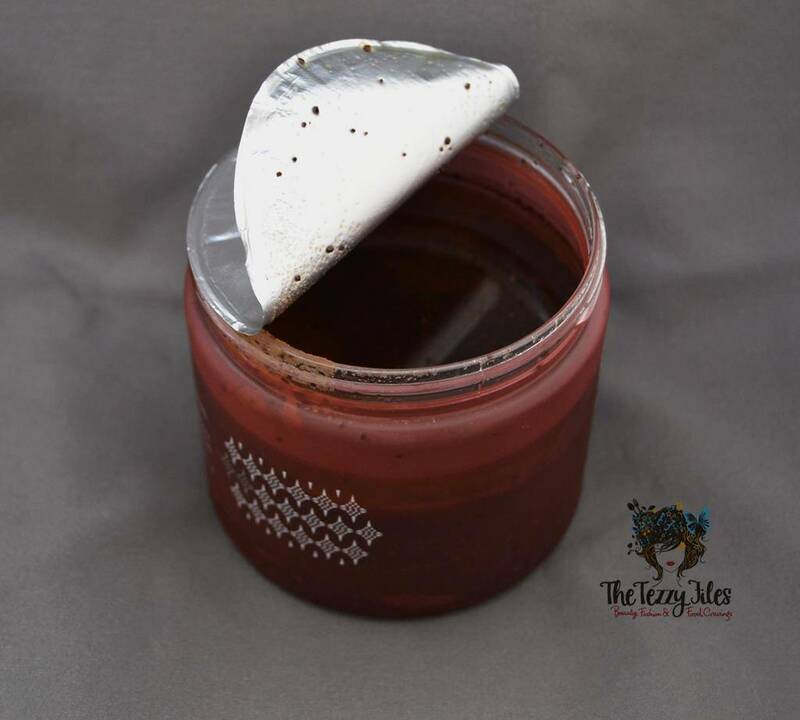 Arabic Black Coffee, Olive Stone & Sugar: To exfoliate. Coffee is also believed to aid in reducing cellulite and improving cellular turnover! Lemon Zest & Black Pepper Oil: For invigorating aromatherapy. Jasmine Absolute: for key floral notes. Hydrating, nourishing natural oils and butters: apricot oil, coffee blossom oil, lemon oil, litsea oil, monoi oil, olive fruit oil, pink grapefruit oil, shea butter, sweet almond oil. To deeply invigorate and enliven: vigorously exfoliate and tone with intense vitality. arabic coffee, black olives, sugar, and fresh lemon rind combine to invigorate the circulatory system and encourage cellular turnover. coffee decreases the formation of cellulite, tightens and shrinks the blood vessels, helping to reduce the appearance of varicose veins. the rich oil of black olive is high in complex fatty acids that deeply nourish. combined with the abundance of fresh citrus fruit to stimulate and recharge the body. – Red Flower website. The first thing that hits you when pulling back the foil seal is that signature scent. It’s deeply coffee, yet refreshingly zesty lemon all at once. Almost a quarter of the tub has a deep layer of oils, and the solid bits need to be scooped out along with it. Rubbing the mixture onto the skin feels very therapeutic. And that scent! Aromatherapy for all the senses. The sugars dissolve into the skin without being overly rough, and this also ensures it gets flushed down the sink without any sticky residue. The oils do cling onto the tub a little longer, and need to be sprayed off. But overall, this scrub is not as messy as many others I have tried from a similar category. When rinsed off, the oils remain on the skin sealing in that gorgeously deep, mysteriously delicious coffee scent. Moreover, I didn’t need a body moisturizer right out of the shower. My skin felt so well hydrated with this special blend of oils. 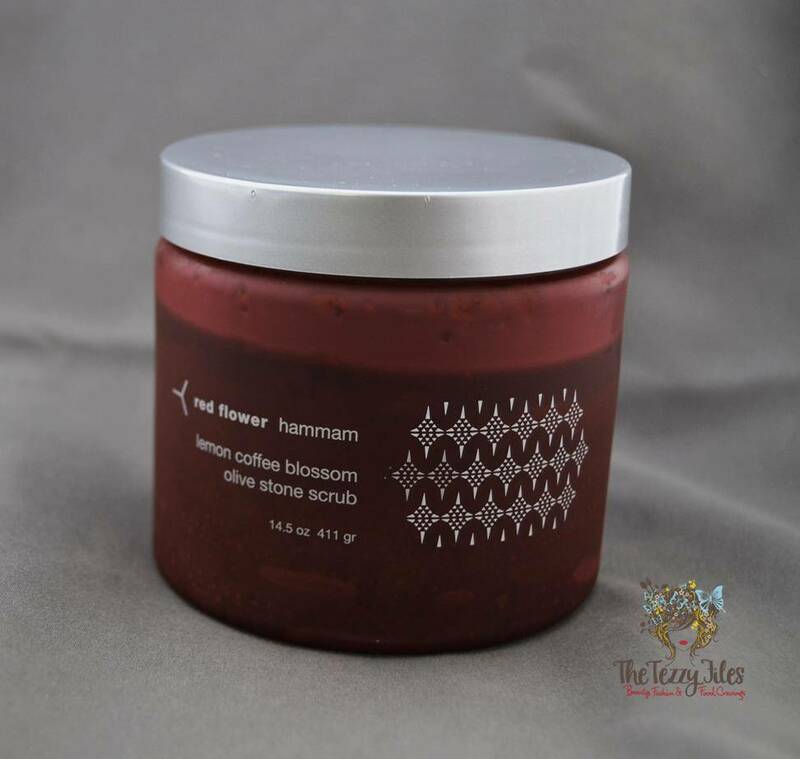 The Red Flower Lemon Coffee Blossom Olive Stone Scrub is an indulgent treat, and this is one splurge that can transform an ordinary bath-time ritual into a spa-like experience. That scent! One whiff takes me back to the pampered bliss of a spa. The scrub is not overly rough, and the sugars dissolve quickly in a hot bath. It has just the right degree of exfoliation on my skin. This scrub is loaded with hydrating ingredients, and my skin feels so soft and supple after use. I can skip the body moisturizer after this shower! That gorgeous scent lingers subtly throughout the day. Wish I could bottle this up! Although used in minute quantities, ground olive stone can clog up your drainage! This product is rich in natural oils, which means you need to be extra careful if you are accident prone. Oily baths can be a slippery mess! Red Flower is not easily available across the UAE. Perhaps this itself makes it a more prized, crave-worthy product. I bought my 411 gram tub for AED 290 at Chi Spa (Shangri La, Dubai). Posted in Product Reviews and tagged bath, Beauty, Body Care, Body Scrub, dubai, Dubai Spa, Hammam, natural beauty, organic beauty, Organic Natural Beauty, spa. Bookmark the permalink.